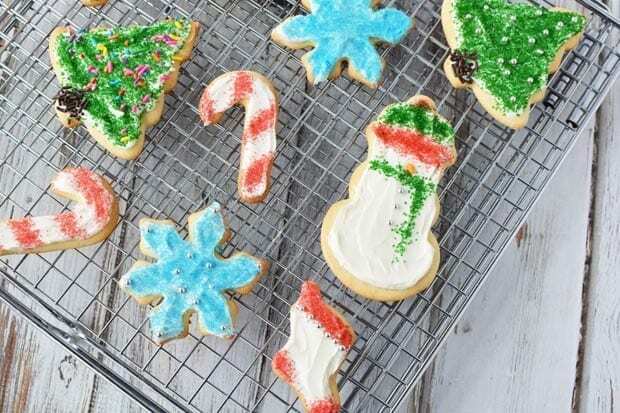 These super soft sugar cookies are perfect for Christmas. 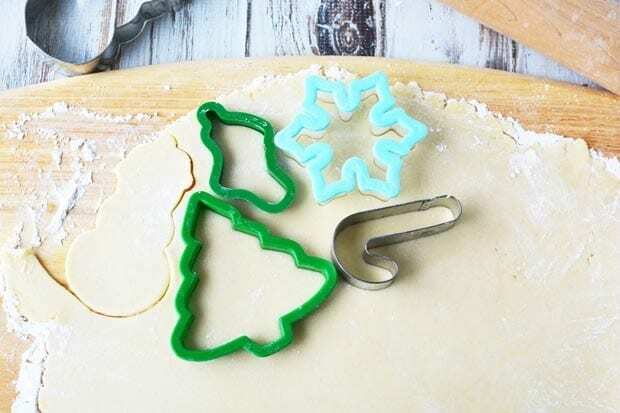 They are not hard and crunchy like some sugar cookies, and they will become your go – to sugar cookie to make for family and friends. 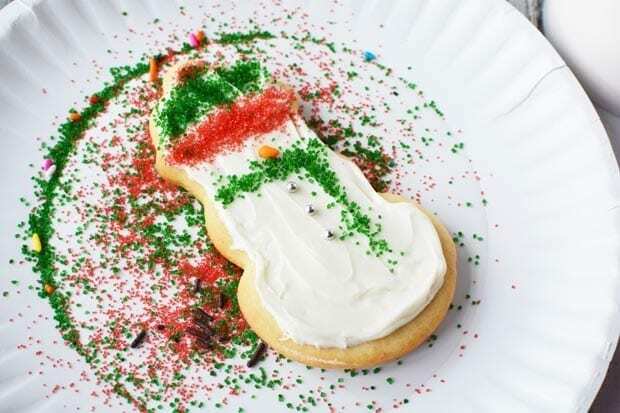 For years, I’ve been on the hunt for a delicious SOFT sugar cookie. 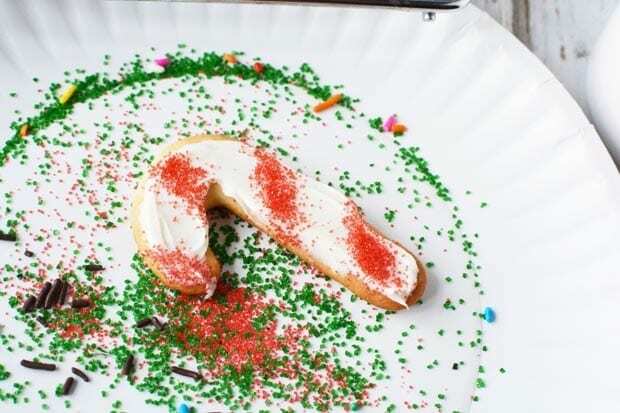 I’m not a fan of crunchy cookies, especially crunchy sugar cookies. 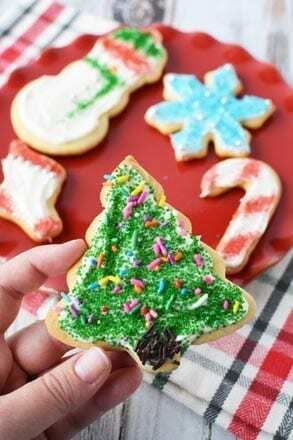 To me, sugar cookies need to be soft and buttery, and that’s why this sugar cookie is the best Christmas cookie recipe. 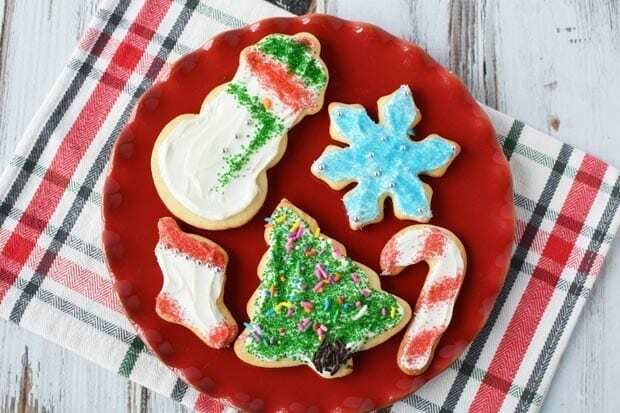 I love giving these sugar cookies out to neighbors and friends. 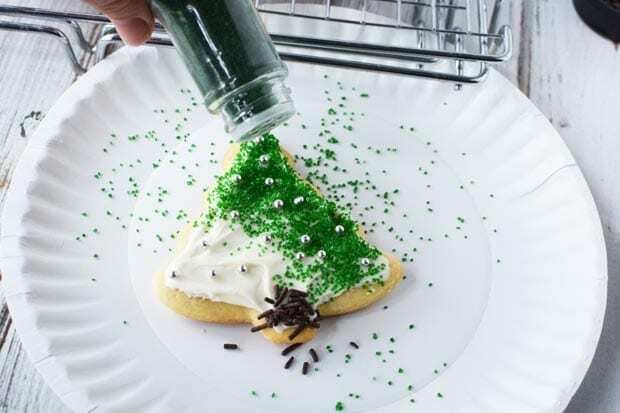 To me, Christmas isn’t Christmas unless I make neighbor treats. Everyone does it in my neighborhood and I’m super lucky to have lots of great neighbors that I WANT to make treats for. My kids absolutely love helping me make cookies too. What kid doesn’t? 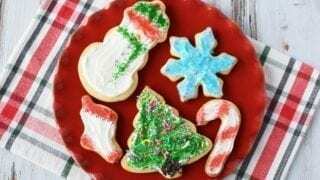 This sugar cookie recipe will impress your neighbors too. They are AMAZING. 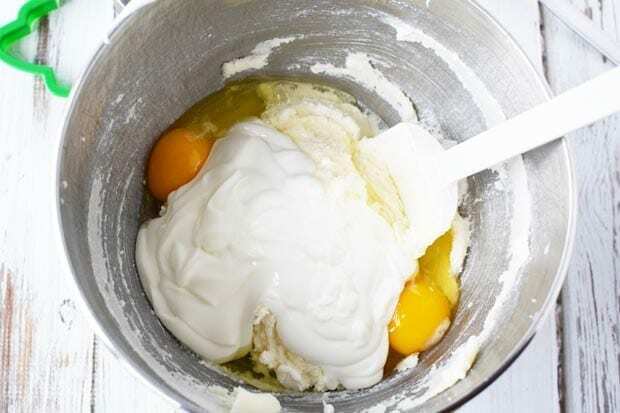 Cream butter, sugar and vanilla together with a mixer. Beat well until fluffy, about 3-5 minutes, scraping down the sides halfway through. Add sour cream and eggs and beat well. 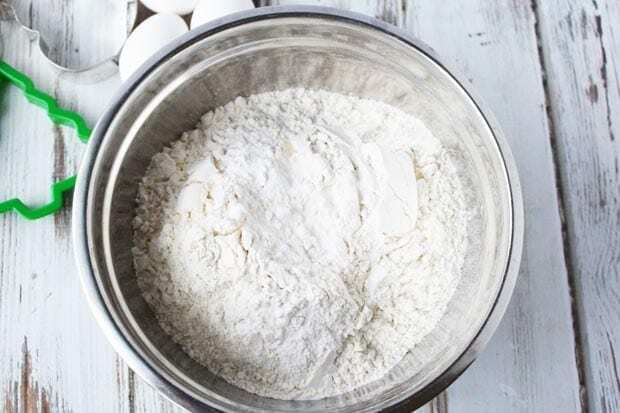 In a large mixing bowl, combine flour, baking soda and nutmeg. Mix well. Slowly add to wet mixture and beat just until combined. Refrigerate dough, covered, for 2 hours or overnight. 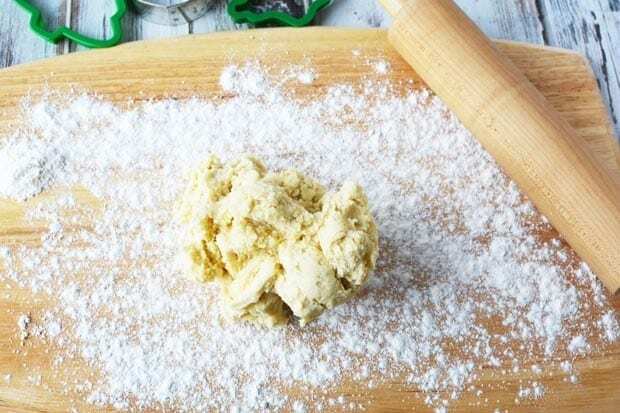 Roll chilled dough onto a lightly floured surface until about 1/4″ thick. Place onto an ungreased baking sheet. 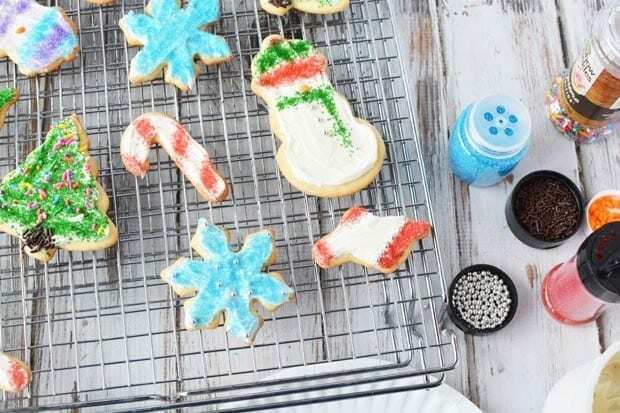 Once cookies are cool, frost them with frosting and decorate them with sugars, sprinkles and dragees. 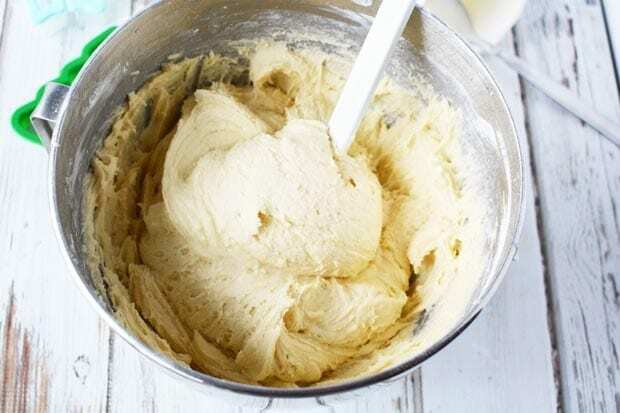 Roll chilled dough onto a lightly floured surface until about 1/4" thick. 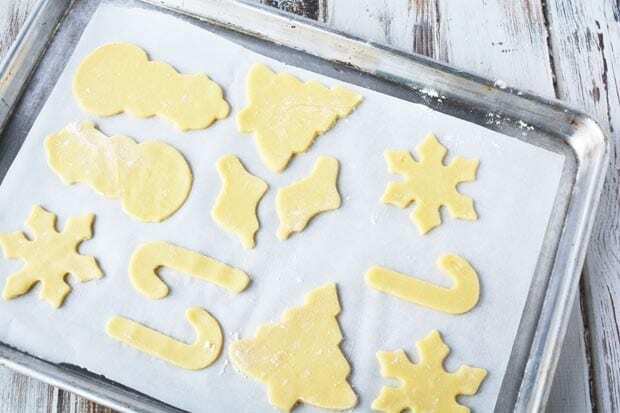 Place onto an ungreased baking sheet. Bake for 7-9 minutes at 375 degrees. Cool for 2 minutes on baking sheet before transferring to a cooling rack to cool completely. 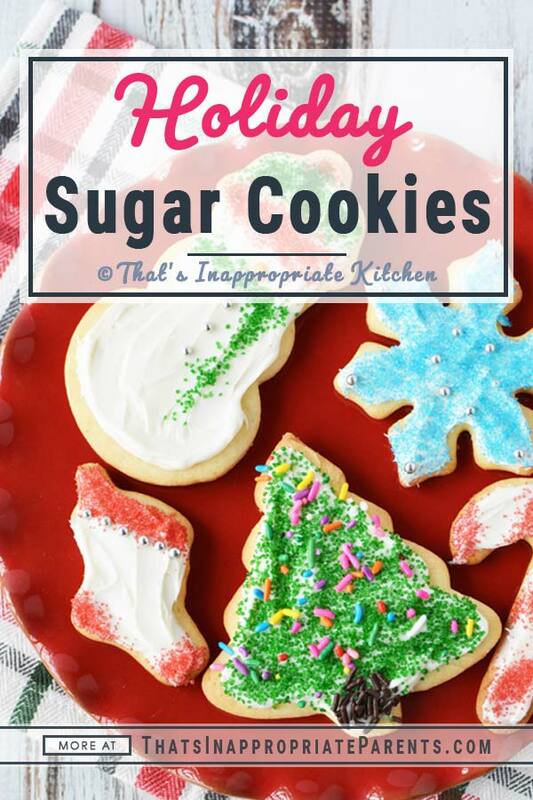 These cookies are the soft sugar cookies, not the hard ones. That’s it! 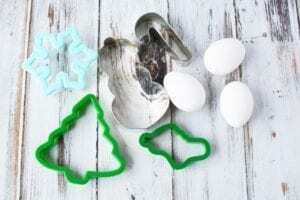 Do you love making cookies with your kids? 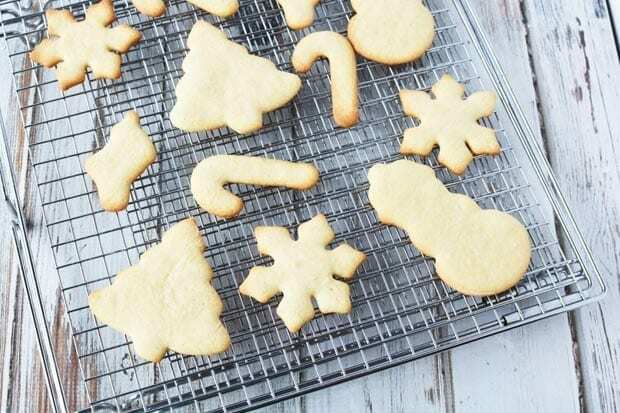 Do you have a favorite sugar cookie recipe, or are you going to try this one? Let us know in the comments!